Having been bought up on sci-fi and graphic novels such as Bladerunner, Watchmen and The Dark Knight, these influences have steeped, festered and manifested in Tristan’s everyday life. From his own unique style right through to his musical outputs, there seems to be a hint of chaotic darkness in his persona. With plans for an album at the tail end of 2013, Tristan has found himself pulling long studio hours and on his downtime, revisiting some of those classic sci-fi moments of his youth. For him, The Matrix was a game changer and the cinematography, style and setting of the movie has reignited that spark of inspiration: “Seeing Keanu Reeves reach his potential and realise his role as Neo in the ongoing battle was breathtaking. 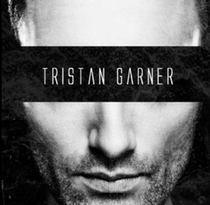 Those fight scenes blew my mind,” says Tristan. After one late night studio session that rolled into an early morning viewing session of The Matrix, Tristan had an idea to re-create the ending soundtrack. Keeping the original background FX and voices, Tristan has composed and arranged everything for the love of score music and he’s just recently released it on YouTube. Have a look at it below.